Coming into the match Thursday, the San Diego Aviators were in a three-way for second place. In order to get to the World TeamTennis finals, San Diego needed to beat the Springfield Lasers and for the Washington Kastles to beat Orange County Breakers. Only one those things happened Thursday. The Aviators lost to the Lasers, 25-18, in extended play on their home court the Omni La Costa Resort and Spa. Springfield made quick work on San Diego, taking men’s doubles, women’s singles and men’s singles for a commanding 15-9 lead at halftime. Things weren’t any better for the Aviators after halftime. 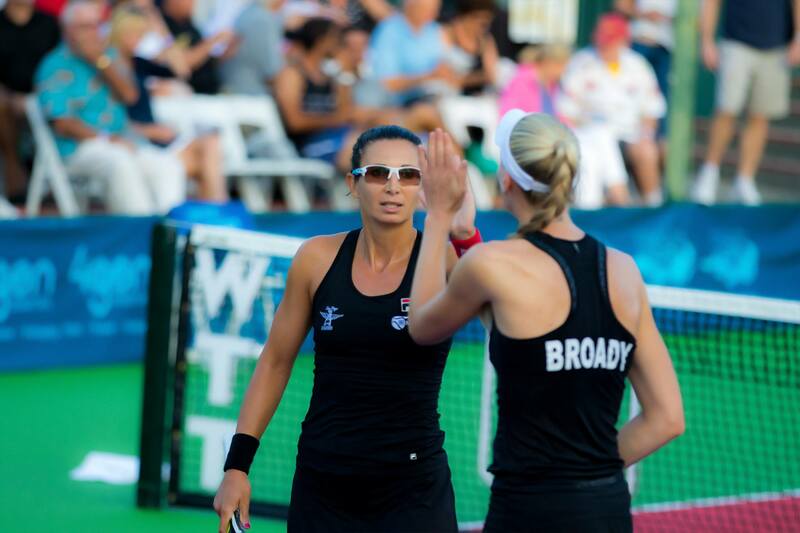 Anna-Lena Groenefeld and Naomi Broady were edged out by Vania King and Abigail Spears in women’s double to extend Springfield’s lead to 20-13. The Aviators then won the mixed doubles set, sending the match into extended play. Under WTT rules, if the trailing team wins the last set of the match, the match continues until the leading team wins a set or the trailing team ties the score and go into Supertiebreaker. Spears, a San Diego native, and Marcelo Demoliner clinched the match for Springfield by taking the first set against Groenefeld and Marcin Matkowski. This is the first time in three years that the Aviators did not advance to the WTT finals. Last year, the Aviators lost to their Southern California rivals, the Breakers, 22-18 in the finals.